Mar 26, 2019 @ 12:25 PM — by Sharon B. Mateja, D.D.S. Dental problems may be the cause of ear pain and tinnitus (ringing in the ear). One reason is due to the close proximity of the jawbone and teeth to the inner, middle, and outer ears. TMJ disorder is one example of a jawbone condition that often leads to ear pain. Dr. Sharon Mateja can relieve ear pain that is caused by dental problems. She offers a range of effective restorative dentistry services to improve your oral health at our Rancho Cucamonga, CA practice. Dr. Mateja has served the community since 1985. The ears and throat are interconnected through small tubes, while the nerve that controls the tensor tympani (a muscle deep within the ear) also controls the jaw muscles. This means that pain in one area may be caused by an ailment or condition in another. When discerning the cause of your pain, Dr. Mateja will take X-rays, examine your mouth, and discuss your symptoms. These dental conditions are common causes of ear pain. 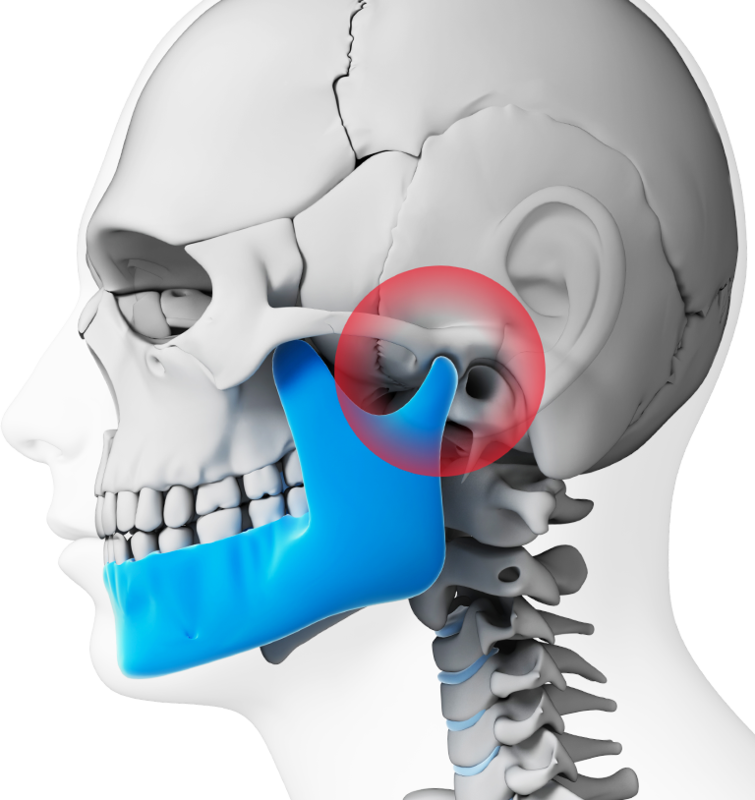 Around 10 million Americans suffer from TMJ disorder. The condition arises when the temporomandibular joints (TMJs) are not properly aligned. Patients with TMJ disorder often experience jaw pain, facial discomfort, worn teeth, popping jaws, tinnitus, and ear pain. Dr. Mateja will examine your jaws and symptoms when diagnosing the cause of your ear pain. If TMJ disorder is found to be the cause, Dr. Mateja can provide you with a custom-made occlusal guard that will reposition your jaw and prevent undue strain on your TMJs. Worn teeth and other forms of damage caused by TMJ disorder can be addressed through restorative treatments at our office. Even minor misalignment in the jaw can cause pain and stress that radiates outward toward the ear. Dr. Mateja can treat poor bite alignment through cosmetic or restorative treatments. Left untreated, poor bite alignment can lead to chipped or worn teeth. Bruxism is more than a cause of prematurely worn teeth. Teeth grinding can cause tinnitus and ear pain, among other symptoms. Because the temporomandibular joints neighbor the sensitive middle and inner ear, any problem that develops in the jawbone can radiate to the ears. Many patients who complain about ear pain are actually experiencing a dental problem. The most common causes of toothaches are tooth decay, trauma, abscesses, and gum disease. The phantom ringing of the ear known as tinnitus affects one in five individuals. The condition can be caused by gum infection or inflammation in the mouth. Properly diagnosing the cause of oral or ear pain requires an experienced and knowledgeable dentist. Do not put off dental care to determine the cause of your discomfort. Your symptoms may be indicative of oral problems that require restorative treatment. If you do need to undergo treatment, you will be in compassionate and expert hands at our practice. Dr. Mateja brings decades of professional experience to our patients. If you are suffering from ear pain or an aching tooth, contact our office online to schedule an appointment or call (909) 989-5959.